An engineer has the dilemma of choosing the best technology to apply when designing rugged SFF computers. The myriad of available technology choices may cause frustration, because the wrong choice made now could lead to a regrettable outcome later. There are many moving parts in a free economy which serves all and still allows for many choices and options. Adam Smith best summarized this phenomena as the “Invisible Hand.” Though this term was coined well over 200 years ago, it is still very applicable, especially in the technology marketplace. With this freedom, engineers will seek the best technologies to make their products the best that they can be, and to implement them as quickly as possible. In the avionic and military sectors, Size, Weight, Power and Cost, better known as SWaP-C, is a driving concern to all engineers when embarking on a new system design. Another element, which surprisingly is often left out of SWaP-C discussions, is “Time to Market.” As ever-increasing sophistication and functionality is incorporated into an airborne or ground based vehicle’s system, the amount of time to produce starts to become a serious consideration. Less than a decade ago, engineers primarily had two choices driving system design. First, they could build their own printed circuit boards, in whatever shape fit the available space, and populate them with exactly the right components for the application. This approach carried an abundance of potential issues such as development time, overhead costs, product variety and obsolescence. Second, they could choose off-the-shelf boards and do their best to adapt them to their requirements. Usually, these off-the-shelf boards adhered to accepted commercial and rugged standards (i.e. VME, VPX, cPCI) often used in systems headed for the avionic and military marketplaces. In the short span of a decade, with ever-increasing integration and functionality, everything is changing. 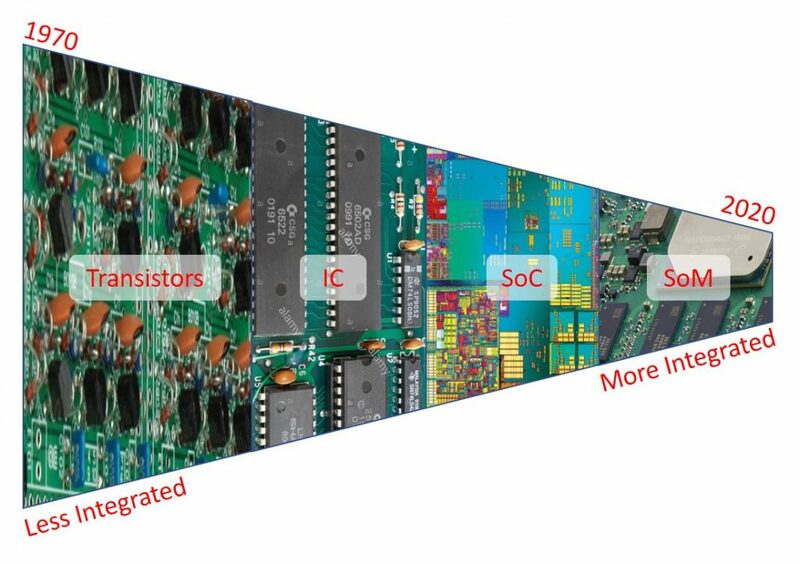 With the evolution of small module-based computing techniques and the nearly-universal adoption of System-on-Chip (SoC) components, the end user can now receive better solutions, at lower costs, which more closely meet their needs. This factoid is true for many industries, including the MIL/aero, medical, heavy industrial, transportation and especially the automotive markets. Renewed customer focus on SWaP-C and the evolution of commercial business models have shifted component and module manufacturers’ attention from their historically narrow focus to these broader market segments. Commonality and readily accepted industry standards are driving this market to produce harmonious and interoperable products. With the increased emphasis on standardization, leading component and module manufacturers are creating common connections so that engineers can design boards, backplanes or midplanes supporting a plethora of acceptable standard mezzanines. This approach allows the design and integration engineer to choose from a wide variety of vendors and options; thus, reducing his personal risk, overhead costs and time to market. Examples of some of the leading embedded standards, previously considered primarily in the industrial marketplace, include PICMG’s COM Express, PCI-SIG’s MiniPCIe and SGeT’s SMARC modules, to name a few. In parallel, the traditional source of standards for the typically conservative avionic and military communities is not idly standing by. Though releasing standards at a more measured rate than their industrial cousins, ANSI/VITA is starting to utilize traditional commercial and industrial standards. A new standard is being finalized which is specifically targeted to the rugged SFF marketplace. This new standard is called VITA 74, also known as VNX. VNX has been approved by VITA and is working its way through the ANSI publication phase, soon to be published as ANSI/VITA 74, or AV74. The VITA 74.0 variant deals with the baseline module design and functionality, with other “dot standards” in committee for special use-cases such as SpaceVNX (VITA 74.4) for CubeSATs, VNX with Backplane Optical (VITA 74.5) and VNX with Backplane RF (VITA 74.6), and many others. Let us further explore the options of designing and building rugged SFF computers, with a focus on what standards-based options should be considered. What About VME and VPX for SFF? In the 1970’s, there was a hilarious commercial from Midas Mufflers. A customer drives his small sports car into a typical muffler shop and asks for a muffler. The mechanics show him an oversized, one size fits all, muffler. The customer protests, “That will never fit!” The over-confident mechanic holds up a very big hammer and exclaims “We’ll make it fit”. This has been the approach of many VME and VPX board manufacturers today when trying to tackle requirements for SWaP when creating systems. Many are packaging their 3U or 6U boards into single or dual slot rugged conduction cooled systems and are losing out on more condensed and “right-sized” processing and I/O support available in the marketplace today. Further, this can be a performance-limiting approach, since many existing standards cannot take full advantage of higher data bus speeds and technologies often found in newer modules. Today’s small 3U VPX ½ ATR “short” system has taken the place of much larger systems designed just a few years ago, but smaller variants of this system are now available in smaller packages which employ higher levels of integration. This is not to claim that VME and VPX are obsolete. Far from it. VME has great value for retrofit programs and for programs which do not require modern serial fabrics and high speed signaling. VPX is still king for higher power, brute-force processors, or with applications with a lot of I/O, even in a relatively small footprint. The claim is simple. The engineer, who oftentimes instinctively wants to adhere to standards based system designs and is considering designing a system with one, or maybe two, VME or VPX boards, should reconsider as this may not be the best SWaP-C optimized approach, and there might be better options available. The above diagram shows the historical evolution of the processing components of a computer. The often-cited example of Moore’s Law still confirms the trend that the number of integrated components in a given volume roughly doubles every two years. In parallel, the engineer’s DNA drives the designer to keep things standard and orderly. In a perfect world, engineers want to design boards and systems knowing the pin assignments in advance. This caused transistors to morph into Integrated Circuits (IC) and ICs to morph into Systems-on-a-Chip (SoC). No more need to purchase multiple processing and discrete components and solder them onto a board and wire them to each other. Now it is possible to purchase SoC components and simply connect to them via a set of standardized electronic interconnects on a standardized module or midplane. Continuing down the evolutionary path, the System-on-Module (SoM) takes the SoC concepts a little further by offering even more integrated components such as memory, networking, RF and power supplies which makes it nearly a complete system in a neat and tidy package. As a result, systems are becoming smaller, with less heat and superior functionality; with capability predominantly limited by the temporary practical limitations of connector density and the inescapable laws or thermodynamics. As time has progressed over the last few decades, the electronic complexity and integration has increased, while the size, risk and time to market has decreased. The popularity of these modules has grown due to the exponential growth of computer technology in the automotive, medical and biotech sectors. These new markets are driving the pricing of module-based boards down drastically. 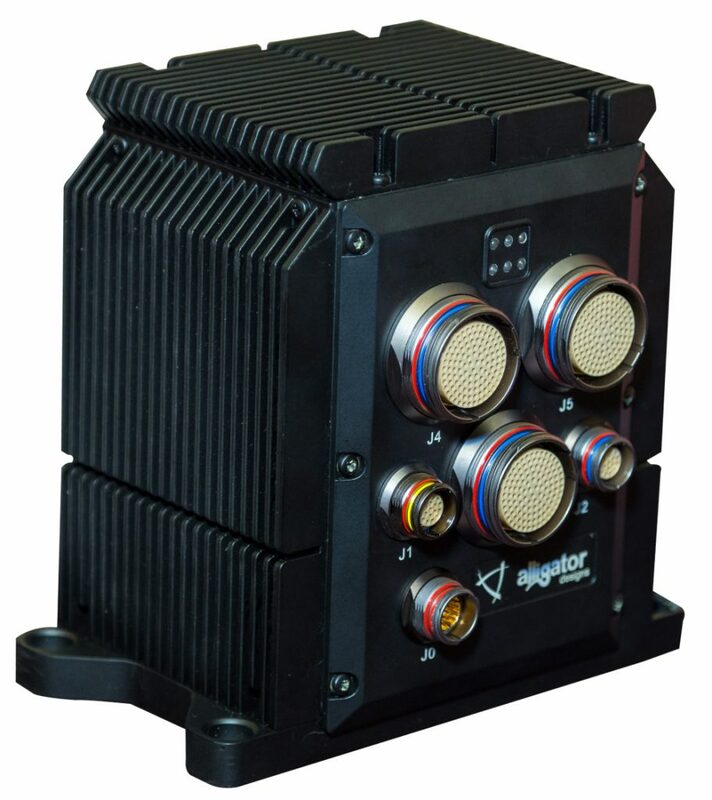 New industrial modules are being built which are low-cost enough for their intended market, while being rugged enough for MIL/Aero use, and priced in such a way that equivalent performance system may actually get less expensive as the size decreases. 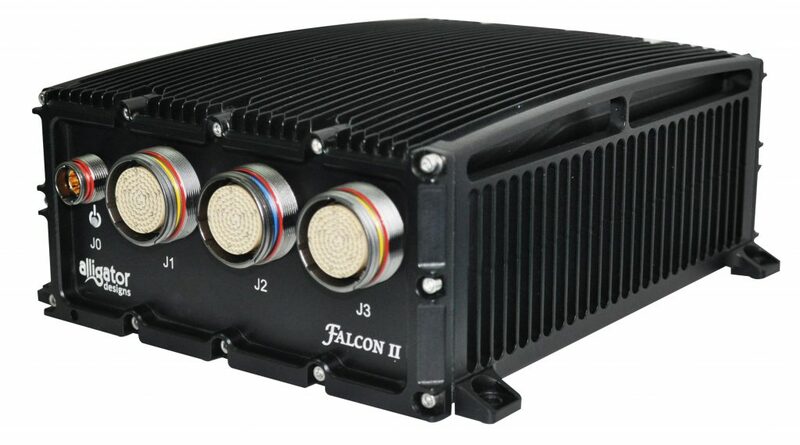 These SoMs, based on industry standards, are being irreversibly fused into the rugged SFF market for military and avionic projects. It is now more sensible for engineers to design bite-sized, semi-custom midplanes or carrier boards to support the standard mezzanines and condense as much capability that is thermally practical, with as little development of schedule risk as possible. Even further, these commercial and industrial standard based modules can be placed on MIL-rugged standard based boards such as XMC, VPX and VNX. Hybrid systems utilizing a midplane with industrial standard mezzanines are now gaining favor in the marketplace, providing high levels of integration, ruggedization and shorter time to market. VITA is an incorporated, non-profit organization that is a “Who’s Who” of manufacturers, integrators, vendors and users having a common market interest in real-time, modular embedded computing systems. They are major contributor to many of the rugged standards used today such as PMC, XMC and OpenVPX. After VPX was finally established, the next goal for VITA was to facilitate an environment where the players could continue the natural gravitation towards a smaller standard form factor by harvesting the ground-breaking concepts that made VPX successful. This while building-in the capability to exploit cutting edge commercial SoM technologies and in parallel, looking forward to even higher PCIe data bus speeds and interfaces. By design, the standard inherently allows the use of other successful standards for backplane connectors, intra-system connectivity and mezzanine card form factors to specifically reduce development risk, cost and time to market; with the most critical key of being sensitive to SWaP-C. The outcome is VITA 74, also known as VNX. New SFF standards such as VITA 74 (VNX), which have been designed to utilize rugged SoM standards, are gaining favor in the MIL/Aero marketplace. VNX is a Commercial off the Shelf (COTS) module standard for SFF, conduction-cooled, inherently rugged, Single Board Computers, Signal Processors, and I/O Modules which can be used as part of an integrated system. Utilizing Modular Open Systems Architecture (MOSA) principles, VNX provides the first standards based, slotted module approach to building conduction-cooled SFF systems. When designing the new standard, the companies which developed the VNX SFF standard decided to apply existing proven technology and “lessons learned” from as many existing standards as possible to the new standard, in an effort to minimize economic, technical and schedule risk. Instead of describing what needs to be “inside” the module, the VNX approach was to define the “outside” of the module (i.e. the connector, slot profiles, overhead signaling, module size and essential cooling details) and leave flexibility inside to the module designers. 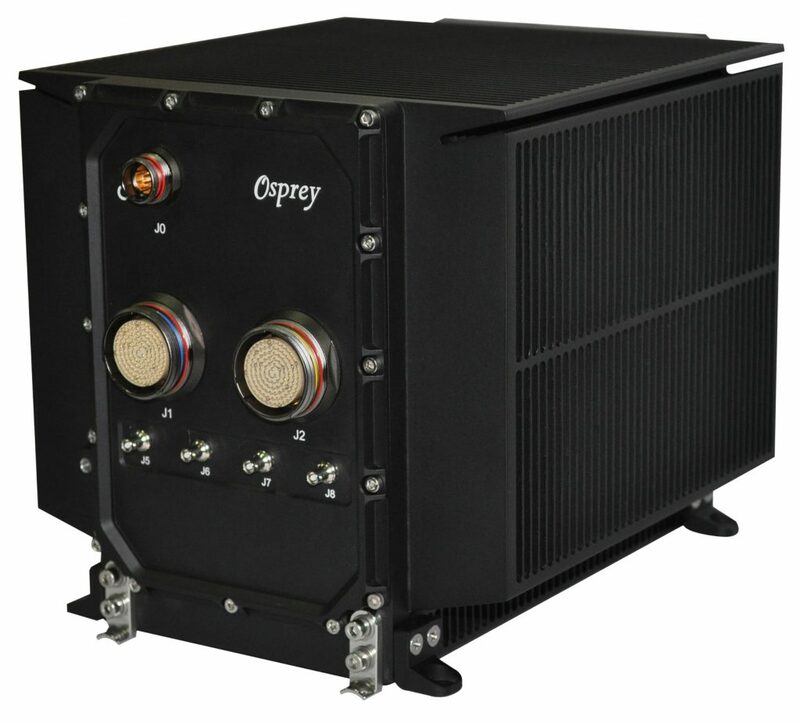 This flexibility allows engineers to integrate commercially available COMs and SoMs into a predefined rugged module which by definition must support conduction cooled environments typically found in systems qualified to Mil-STD-810 and VITA 47, including extended temperatures, high shock and severe vibration. In simple terms, this can be explained as standard modules on standard modules; oftentimes leading to quick time-to-market systems with limited or zero NRE, regardless of how unique the requirements are. The title of this article depicted that the engineer has a dilemma when designing rugged SFF computers. Dilemmas can cause personal frustration because the difficult choices made could lead to regrettable outcomes. If an engineer takes full advantage of the proliferation of standard-based modules, boards and systems (i.e. VNX), the frustration should subside. Even more comforting is the growing availability of highly skilled vendors to offer off-the-shelf SFF computers and I/O modules in many varieties to support even the most unique requirements; promising maximum conservation of SWaP, with minimal or zero NRE, leading to an optimal cost-effective solution.